GMA Network (GMA) kept its over-all ratings lead in the viewer-rich areas of Urban Luzon and Mega Manila in November based on data from the industry’s leading ratings service provider Nielsen TV Audience Measurement. Urban Luzon and Mega Manila account for 77 and 60 percent, respectively, of all urban TV households in the entire country. Moreover, the airing of the Pacquiao-Algieri fight on GMA7 became the highest rating show (including specials) in NUTAM, Urban Luzon, Mega Manila and Urban Visayas, leading all other programs in these areas. From November 1 to 30 (with the dates of November 23 to 30 based on overnight data), GMA recorded a 36.8 percent total day household audience share in Urban Luzon, surpassing ABS-CBN’s 31.1 percent by 5.7 points and TV5’s 8.8 percent by 28 points. Leading across all areas in Mega Manila, GMA posted a 37.8 percent total day audience share in the area, up 9.3 points from ABS-CBN’s 28.5 percent, and up 28.5 points from TV5’s 9.3 percent. Compared to its key competitor, GMA had more entries in the list of top-rated shows in Mega Manila with 18 out of 30. GMA’s lead in November was also driven by the ratings performance of its weekly anthology Magpakailanman, multi-awarded news magazine program Kapuso Mo, Jessica Soho, reality sitcom Pepito Manaloto, GMA Telebabad’s Strawberry Lane, afternoon drama The Half Sisters, flagship newscast 24 Oras, weekend programs Celebrity Bluff, Marian, Ismol Family and recently launched primetime soap, More Than Words. In NUTAM, GMA more than doubled its afternoon block lead over its closest rival, ABS-CBN, to 7.6 points from its 3-point lead in October. In November, GMA scored 37.8 percent, higher than ABS-CBN’s 30.2 percent. GMA’s top-rating programs can be seen worldwide on GMA’s flagship international channel, GMA Pinoy TV. For more information on GMA Pinoy TV as well as other GMA International channels, GMA Life TV and GMA News TV International, visit www.gmanetwork.com/international. Filipinos from all over the US and even from Canada experienced the thrill and excitement that only Manny Many Prizes can offer last September 16 with a two-part special at the Gibson Amphitheater, Universal Studios Hollywood. Dubbed as Kapuso Goes Universal with Manny Many Prizes, this presentation was for the 7th anniversary of GMA Pinoy TV, the flagship international channel of GMA Network. Around 5,000 spectators filled the venue to see the MMP barkada led by pound-for-pound King Manny Pacquiao. He was joined by his co-hosts Paolo Contis, Mike “Pekto” Nacua, Onyok Velasco and Gladys Guevarra. In addition, Filipinos also had the chance to see up close some of the biggest Kapuso stars – Dingdong Dantes, Rhian Ramos, Solenn Heussaff, Rochelle Pangilingan, Elmo Magalona, and Julie Anne San Jose. Fans of Pacquiao were very pleased to see the fun side of the boxing hero as he sang OPM songs with his wife Jinkee, and even danced to the tune of Gangnam Style to the delight of everyone present. Turning serious, Pacquiao later introduced lola Leoning Torio, an 87-year old woman who was living alone in an old garage in West Covina, and making a living out of picking up discarded bottles and cans on the street. After being touched by her story, Pacquiao made the old lady’s wish come true that is to come home to her family in Nueva Viscaya. She received 2,000 USD and a plane ticket from Pacquiao, who also provided her family with a new source of income, and a college scholarship for her grandson. Ninong Manny also gave away a 2-bedroom condo unit from New San Jose Builders, a brand new Nissan Urvan, and cash prizes amounting to several thousands of dollars. Aside from the MMP show being a certified success, the pre-event talent competitions were also a huge hit among locals, as aspiring singers and dancers took turns in impressing the judges at the prestigious Globe Theatre. A singing competition for aspiring young singers was held in the morning of September 16, followed by a singing search among young Fil-Am singers. Finally, a ballroom dancing competition was held afterwards in search for the Ballroom Dancing King and Queen. The press conference, which was held on September 15 at the Celebrity Center, was likewise well attended by members of the press. Apart from answering questions about his show, his career, his advocacies and even his personal life, Pacquiao also sang “Sometimes When We Touch” with Dr. Tess Mauricio of GMA Pinoy TV’s RSVP with Dr. Tess, and granted Sansu Ramsey’s (Queen of Rock and Roll Elizabeth Ramsey’s daughter and host of The Sansu Show which airs on GMA Pinoy TV) wish to kiss him on stage. Crowds of people also filled up the merchandising booths, where hundreds of Kapuso items were also given out and discounted products were also sold out. Kapuso Goes Universal with Manny Many Prizes is an event spearheaded by the GMA Entertainment group led by VP for Entertainment Marivin Arayata, AVP for Drama Redgie Magno, Program Manager Mae Zambrano, and the GMA International group composed of GMA International VP Joseph Francia, Programming Head Cheri Domingo, Asst. Manager for Events Donna Reyes and GMA Pinoy TV Sales Consultants Serafin Bautista and Vicky Pacis. The presentation was directed by ‪Louie Ignacio. GMA Network, Inc. (GMA), through its international business unit, was once again recognized by the National Association for Multi-Ethnicity in Communications (NAMIC) after winning six EMMAs (Excellence in Multi-Cultural Marketing Awards) for its highly innovative international marketing tactics. This is by far the most number of awards won by GMA compared to previous years, and the Network’s first time to earn two first place recognitions in its long history of winning in the competition. The “Support Manny Pacquiao” online campaign for the boxing hero’s most recent fight against Juan Manuel Marquez was awarded first place in the Digital Category. 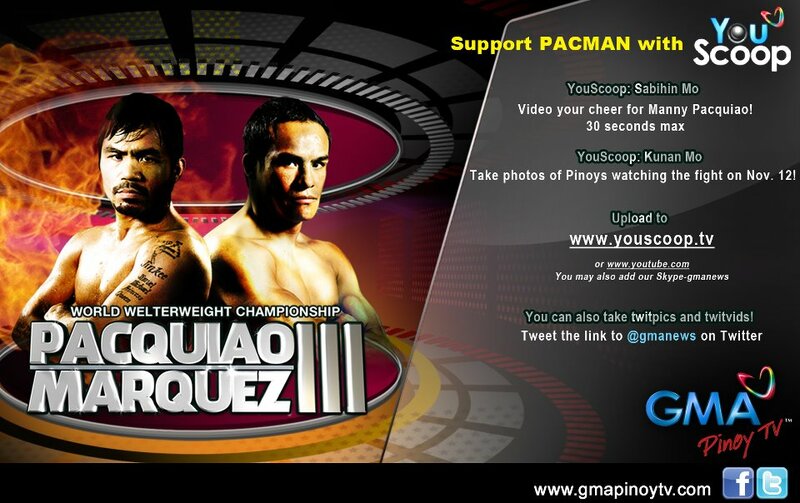 The campaign was recognized for effectively engaging Filipinos living in the US, Asia-Pacific and Middle East to send in messages for Pacquiao via GMA’s citizen journalism tool, YouScoop. Highlighting Pinoy pride, these messages were later aired over GMA’s international channels. The GMA International magazine dubbed as “Kapuso Abroad” (KA), meanwhile, won first place in the Grassroots category. KA is dedicated to making Filipinos living abroad feel closer to home by providing them with relevant and entertaining information about their favorite Kapuso programs and personalities. 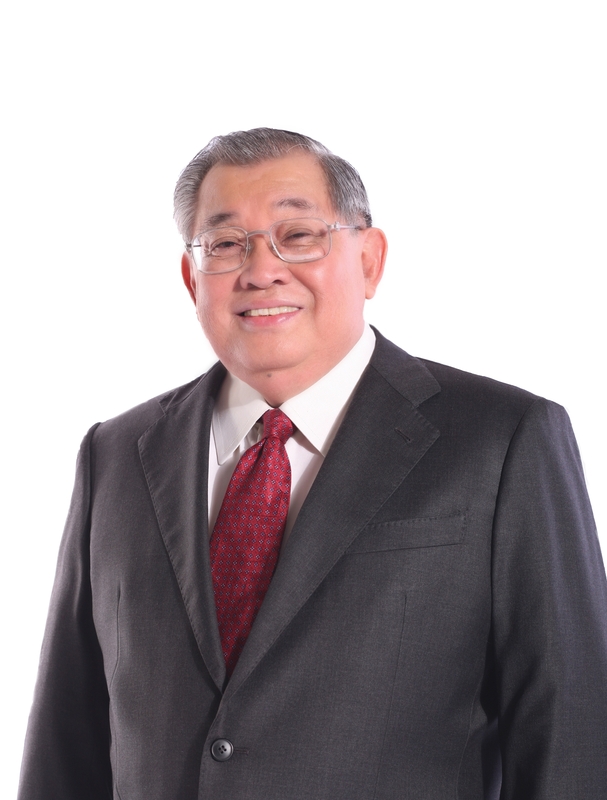 The magazine is circulated worldwide and the increasing demand for KA prompted GMA to create a digital version of the magazine in order to reach more Filipinos globally. Winning third place in the Experiential Marketing category is the Eat Bulaga Live in San Francisco show held last March 30. Being the country’s longest running, most awarded and most influential noontime show, bringing Eat Bulaga to the US allowed Filipino-Americans to experience the classic brand of Pinoy entertainment that only a show like EB can offer. The event gathered over 6,000 attendees from Filipino-American communities in San Francisco and Northern California, and significantly increased the subscription base of GMA Pinoy TV. GMA also won third place in the Diversity Awareness category for its participation in The Outstanding Filipino Americans (TOFA) awards. TOFA honors Filipino-Americans who have helped uplift the Filipino-American community through their outstanding achievements in their chosen profession. GMA leveraged on this opportunity to celebrate the excellence of the Filipino race by providing media mileage and trophies to all awardees. GMA was able to connect with more than 14,000 voters of TOFA via Facebook and reached out to around 300 attendees from various Filipino-American communities. Meanwhile, GMA’s environment-friendly non-woven bags won third place in the Premium category. These fully functional, eco-friendly bags represent the Network’s active participation in Corporate Social Responsibility and environmental protection. The bags are always a sought-after premium during events and marketing activities stimulating brand recall. They also resonate well with subscriber cities like San Francisco that aggressively promote the use of reusable shopping bags. “This is a fitting reward for our hard work especially as we celebrate our 7th anniversary this year,” said Francia. “These awards are a validation of our efforts to innovate and be more creative in our marketing efforts, and to be even more relevant in today’s highly competitive, fast-evolving pay-television landscape. We are truly honoured to receive these recognitions from a prestigious organization such as NAMIC,” he added. NAMIC is an international organization that recognizes superior multicultural marketing practices in the cable industry. Established in 1980 as non-profit trade organization, it has over 2,700 professionals belonging to a network of 16 chapters worldwide. The awarding of winners will take place on September 11 and 12 at Hilton New York. GMA’s international unit oversees the distribution overseas of flagship channel GMA Pinoy TV, as well as GMA Life TV, GMA News TV International, DZBB and DWLS. To-date, the channels reach over 2 million viewers on various pay-TV platforms in 90 countries worldwide. Comcast Colorado launches GMA Pinoy TV on December 10! GMA Pinoy TV continues to widen its reach to Filipino viewers in the U.S. as it begins to air on Comcast Colorado on December 10! With this launch, Fil-AM communities in Denver Metro, Trinidad, and Colorado Springs can now enjoy GMA Pinoy TV’s top-notch programming. GMA Pinoy TV is the flagship international channel of GMA Network, an industry leader in the Philippines, and is fast becoming the preferred channel of Filipinos in the United States. Initially made available in select areas since 2005, Comcast also carries GMA Pinoy TV in Northern and Central California, Boston, Brookline, Houston, Portland, and Spokane, and just recently added Washington DC, Frederick, Prince George’s County, Montgomery, and Loudoun County to its areas of coverage. GMA Pinoy TV will also soon be offered by Comcast Chicago this month of December. GMA Network, the parent company of GMA Pinoy TV, has been broadcasting news and entertainment programs throughout the Philippines for 60 years. It has played a major role in revolutionizing Philippine television by pioneering many of the most innovative and trendsetting shows and is recognized as the leading broadcasting company in the country. With balanced programming and quality entertainment, it has been a staple among Filipino viewers. Its news and public affairs programs have garnered global recognitions which include the prestigious George Peabody Award, World Medals from the New York Festivals (five of which were awarded in 2008 – unprecedented in Philippine TV history), plus several awards from the U.S. International Film and Video Festival. GMA’s flagship news program delivers the biggest news of the last 24 hours. Bannered by top news anchors Mel Tiangco and Mike Enriquez. The longest-running number one noontime variety show in the Philippines. Hosted by the well-loved triumvirate of Tito Sotto, Vic Sotto, and Joey de Leon. The longest-running comedy/gag show in the Philippines, topbilled by top-notch comedians Michael V. and Ogie Alcasid. A news-magazine program that features insightful stories with human interest and socio-cultural relevance. Hosted by award-winning broadcast journalist Jessica Soho. World boxing icon Manny Pacquiao in a hilarious yet heartwarming sitcom with the beautiful Kapuso star, Marian Rivera. An Iza Calzado starrer and currently the hottest primetime series in the Philippines, Beauty Queen is about a poor but pure-hearted palengke queen-turned-beauty queen named Maita, played by the multi-awarded drama actress. GMA Pinoy TV is available on Comcast Colorado at subscription rates of $11.99 and $19.99. Interested parties may visit Comcast’s website at www.comcast.com/internationaltv. Program information and updates are available atwww.gmapinoytv.com. GMA Pinoy TV and GMA Life TV invade Comcast Chicago beginning December 16! Comcast Chicago delivers early Christmas presents right to the home of Filipino viewers as it launches channels GMA Pinoy TV and GMA Life TV on December 16! GMA Pinoy TV is the flagship international channel of GMA Network, an industry leader in the Philippines, and is fast becoming the preferred channel of Filipinos in the United States. Initially made available in select areas since 2005, Comcast also carries GMA Pinoy TV in Northern and Central California, Boston, Brookline, Houston, Portland, and Spokane, and just recently added Washington DC, Frederick, Prince George’s County, Montgomery, and Loudoun County to its areas of coverage. GMA Life TV, in turn, is the network’s second international channel that features a mix of television genres, plus various lifestyle programs suited for Pinoys all over the world. 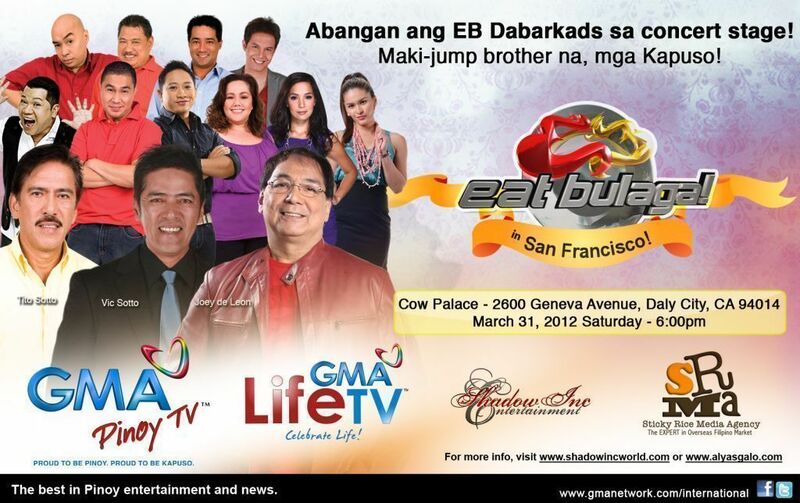 Carried by Comcast in Central California, GMA Life TV will also soon be available in Texas through Comcast Houston. GMA Network, the parent company of GMA Pinoy TV and GMA Life TV, has been broadcasting news and entertainment programs throughout the Philippines for 60 years. It has played a major role in revolutionizing Philippine television by pioneering many of the most innovative and trendsetting shows and is recognized as the leading broadcasting company in the country. With balanced programming and quality entertainment, it has been a staple among Filipino viewers. Its news and public affairs programs have garnered global recognitions which include the prestigious George Peabody Award, World Medals from the New York Festivals (five of which were awarded in 2008 – unprecedented in Philippine TV history), plus several awards from the U.S. International Film and Video Festival. Hosted by the iconic Lucy Torres-Gomez and the multi-awarded actress Iza Calzado, The Sweet Life brings the latest in Philippine fashion, beauty, wellness, food, and anything and everything a woman takes interest in! The country’s top chefs and most promising restaurateurs reveal cooking secrets and techniques as they celebrate Filipino food in Secrets of the Masters. Philippine’s most generous teleserye, comedy, and game show in one which features “Lola Barbie,” (Nanette Inventor) a rich 60-something year old woman who hires a group of “workers” every week. These workers – real people from various professions who have been chosen through auditions – take on the challenges within the context of the teleserye’s storyline in hope to bring home the weekly prize of P100,000! With resident biyahero Drew Arellano, Balik-Bayan takes the viewers to the most interesting spots around the country in the only Pinoy celebrity-oriented travel show. Led by broadcast journalist Arnold Clavio, Tonight with Arnold Clavio treats the viewers to a no-holds barred and informative discussion of the hottest issues of the day, with the most sought after personalities that only Arnold can skillfully interview. Hosted by celebrity moms Suzi Entrata-Abrera and Christine Jacob-Sandejas, Full Time Moms aims to empower, educate, and entertain mothers – and other viewers as well – from all walks of life featuring multi-faceted topics on relationships, well-being, trends, and entertainment. Comcast Chicago offers GMA Pinoy TV and GMA Life TV at subscription package rates ranging from as low as $6.99 to $22.99. Interested parties may visit Comcast’s website at www.comcast.com/internationaltv. Program information and updates are available at www.gmapinoytv.com. ANAHEIM, California (AFP) – Filipino bantamweight star Nonito Donaire stopped Ukranian Wladimiro Sidorenko in the fourth round on Saturday to set up a February 19 world title showdown with Mexico’s Fernando Montiel. Sidorenko was knocked to the canvas twice in the first three rounds and took a hard right to the nose in the fourth that prompted him to take a knee on the canvas. Referee Marcos Rosales halted the bout after 1:48 of the fourth round. “I wanted to make a statement in this fight and I did,” Donaire said. Former world flyweight champion Donaire, 28, stretched his win streak to 24 fights over 9 1/2 years, improving to 25-1 with his 17th early stoppage. Former World Boxing Association world bantamweight champion Sidorenko, 34, fell to 22-3 with two drawn after the first knockout loss of his career. His only prior losses were by decision to Panamanian southpaw Anselmo Moreno. “I felt I could take him out with one punch any time so that’s what I tried to stick to,” Donaire said. Donaire wobbled Sidorenko only 75 seconds into the fight with a powerful right and the stinging left hook that followed. Continuous combinations kept the European staggering and struggling to defend the entire round. In the final seconds of round one, Donaire landed a stunning left and a sledgehammer-like overhand right that knocked Sidorenko onto his back. Sidorenko rose to his feet and was rescued by the bell two seconds later. Donaire switched to a southpaw stance late in the second round and landed a left-right flurry and then sent Sidorenko to the canvas again in the third round with a punishing left hand to the head with a minute before the finish. A right to the nose midway into the fourth round sent Sidorenko staggering back and he took a knee. Rosales stopped the rout seconds later. World Boxing Council champion Montiel, 43-2-2 with 33 knockouts, faces a 10-round non-title fight next Saturday against fellow Mexican Eduardo Garcia in their homeland before his scheduled February 19 showdown with Donaire. Malacañang was thrilled that another Filipino boxer has brought honor to country after an impressive fight against his opponent in the United States. Deputy Presidenital Spokeswoman Abigail Valte praised Donaire for defeating Sidorenko and earning the WBA bantamweight crown. “We like to congratulate Mr. Donaire who won over Sidorenko. We congratulate Donaire for winning this fight. The referee stopped the fight at the fourth round,” Valte said over government radio. Valte said she would check if the Palace would arrange a red-carpet welcome for the triumphant boxer when he returns to Manila. 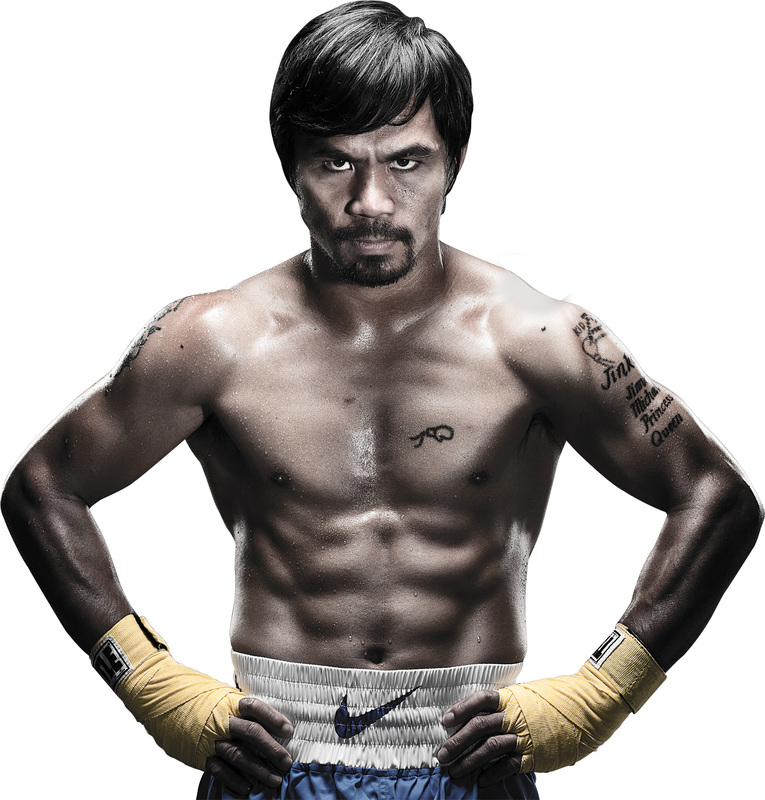 In Alert, Boxing, Celebrities, News, Philippines, U.S.A.